Perfectly placed on the shores of Biscayne Bay and just footsteps away from Lincoln Road, the heartbeat of South Beach, Flamingo puts you in the perfect spot. Skate to the beach. Walk to the boutiques. You’re just seconds from the restaurants and clubs that have put SOBE on the international map. This corner of paradise bubbles in many languages. It sparkles in vivid colors and perfect light. And it thrives on style. Anchored by the Bay, Flamingo does more than epitomize the South Beach lifestyle. Rising above it, it truly elevates it. Embracing the vision of its architects, the Flamingo’s grounds and common areas are evolving in unexpected and beautiful ways. On these 16.5 acres, exotic foliage will greet you from every corner. Soothing water elements will complement an azure while modern architecture works in harmony with SoBe’s organic tropical beauty and art deco heritage. 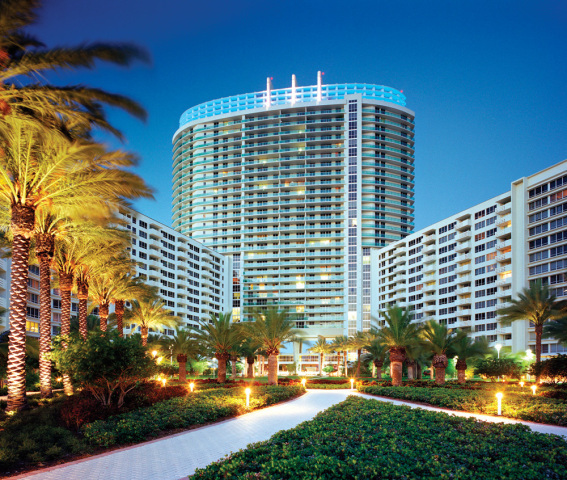 At the Flamingo South Beach, residents can enjoy many amenities that make everyday living feel like a vacation. Socialize around the Bayside infinity pool, swim some laps in the fitness pool, or soak in one of the Jacuzzis. Flamingo residents are treated like VIP’s at local off-site clubs as they kick-off the weekend with complimentary happy hours. Work out in the 14,000 SQFT athletic club or grab some friends for a game of basketball or beach volleyball. Take your dog for some exercise in the dog walk, then to the onsite pet salon for some grooming. Enjoy a new convenience store and cafe, Panico Salon and Spa, car detailing, a covered parking garage, boat slips, and community social activities.